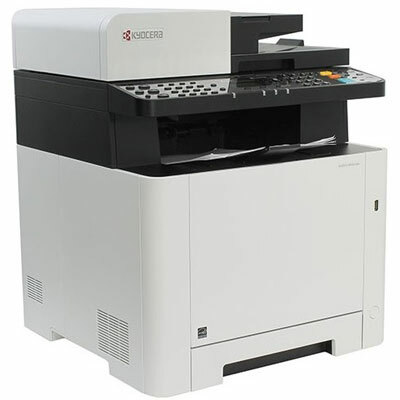 The Kyocera ECOSYS M5521cdw A4 Colour Laser Wireless Multifunction printer fits perfectly into any small business. This is an excellent multifunction printer for those who need reliable, high quality printing with a wide variety of functions. The double-sided print, copy, scan & fax functions, coupled with print speeds of 21ppm in Colour & Mono, ensure this printer offers an optimised and flexible workflow. Mobile printing support takes this to the next level and, compatible with both Android and Apple iOS devices, offers every office the most modern standards in technology. The direct printing functions (via Wi-Fi and USB host) keep your work running seamlessly. Additionally, the MyPanel app offers you an easy way to operate this multifunctional printer from your smartphone. For enquiries, or to Order, call 1300 780 810, and ask about our Promotional Pricing plus Free Metro Delivery. 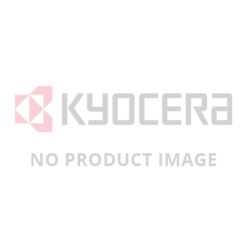 TK5234 toners, Black – 2,600 page yield*, 3 x Colours – 2,200 page yield* ea.